(VEN) - Vietnam has been exporting cashews for almost 30 years and has become the world’s largest cashew processor and exporter. It is developing cashew branding while strengthening promotion and material development to maintain its top position in the world cashew market. Minister of Agriculture and Rural Development, Nguyen Xuan Cuong, said Vietnam has become the world’s biggest cashew processor and exporter. 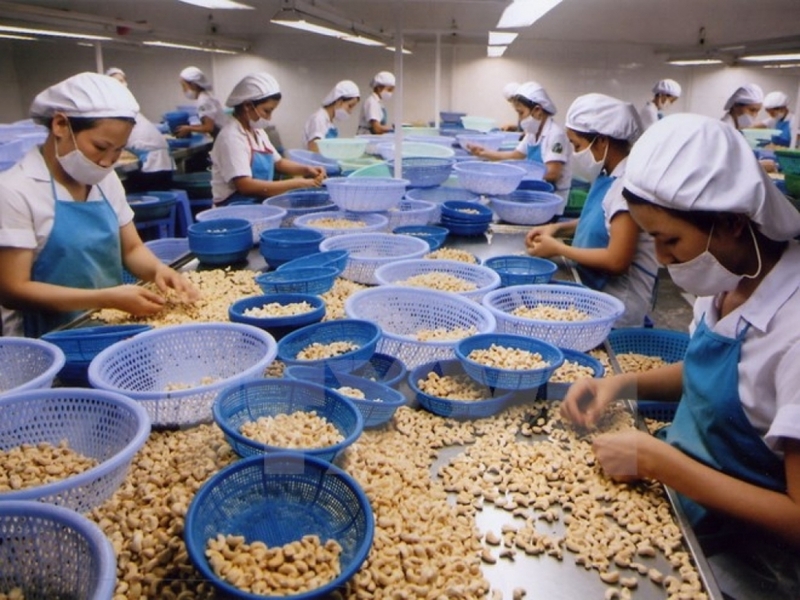 Vietnamese businesses exported cashews for the first time in 1988. Thirty years later, their annual cashew exports have reached about US$3 billion, he said. Vietnam currently accounts for more than 60 percent of the world’s total cashew production output, with 345 enterprises and 260 processing factories. Tens of thousands of farmers and workers enjoy improved livelihoods thanks to cashew trees, the minister added. Deputy Minister of Agriculture and Rural Development, Le Quoc Doanh, said Vietnamese cashew companies took the initiative in developing equipment and technology in a bid to minimize imports of the nut. They also applied technological advances to improve productivity and quality, reduce costs, and increase cashew production efficiency, he added. Cashew processors assisted farmers to develop large cashew fields and improve cashew yield and quality while pledging to purchase cashews from farmers. At the same time they adopted new policies to promote organic agriculture and branding, and preferential credit policies for cashew farmers, he said. They also implemented solutions to accelerate intensive processing, especially of cashew nuts products with a high added value, and strengthened trade promotion, Doanh said. Thanh added that Vietnamese producers are capable of intensively processing highly valuable cashew products. Recently, the US Food and Drug Administration (FDA) sent a delegation to Vietnam to survey cashew processing establishments, and assessed that all of the surveyed facilities met conditions to export products to the US. According to Thanh, the Vietnamese cashew industry aims to satisfy global consumers, provide the market with highly nutritional, quality and safe products, and reach sustainable development. Accompanying farmers, diversification of investments in seed production, application of cleaner production through equipment and technology improvement, and intensive processing are the cashew sector’s action programs, Thanh said. Minister of Agriculture and Rural Development, Nguyen Xuan Cuong, said that despite major achievements, the Vietnamese cashew sector is facing challenges: The country’s cashew cultivation area has decreased almost 100,000 hectares over the past 10 years; though Vietnam’s cashew yield is higher than that in many other countries, it needs to be increased to improve farmers’ livelihoods. However, the biggest problem faced by the industry is the need to maintain current cashew production output in order to limit the amount of cashew imports required, the minister said. Sharing the same point of view, Vinacas Chairman Nguyen Duc Thanh said raw material shortages have become the biggest difficulty for the cashew industry. Each year, Vietnam refines 1.5-1.6 million tonnes of cashew nuts, of which only 300,000-400,000 tonnes are supplied by domestic farmers and the remainder is imported. 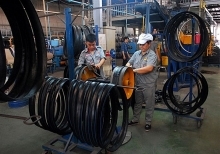 Dependence on imports makes it difficult for processors to control product quality and take the initiative in the supply of raw materials, price management and payment, Thanh said. Le Van Lien, an expert in cashew market analysis from the PAN Group, said finding answers for yield and quality questions, and proper investment are important for the cashew industry to reach sustainable development. The state should consider cashew as a strategic crop in rural development, and should have policies to promote the cashew industry’s further growth, he said. Minister Nguyen Xuan Cuong said state policies, business participation and community’s support are integral for sustainable agricultural development. Seed is the first problem that needs to be improved to increase yield and output. About 80 percent of the 300,000 hectares of cashews are old and seed varieties. Agricultural promotion policies, including policies on application of new varieties and advanced farming practices, are very important, he said. The minister noted that big business has not invested in developing cashews as raw material for processing and policies are needed to encourage businesses to develop raw materials. Cashew re-cultivation is not only the task of farmers but also the state and the agricultural sector, Cuong said. The cashew industry’s security cannot be ensured when 62 percent of raw materials needed for export production are imported, the minister said. Cashew businesses have agreed to reduce quantity and increase quality in cashew processing, export and import activities in 2018. Accordingly, the amount of processed export cashews and cashew export value will be decreased from 350,000 tonnes and US$3.5 billion in 2017 to 300,000 tonnes and US$3 billion in 2018, respectively.